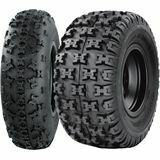 MotoSport has what you need for Plows and Tire Chains! Look here to see our selection from top brands. Looking for Winches? MotoSport has you covered! Browse our selection from top brands. MotoSport has what you're looking for in our Seats and Backrests section! LTR450CN - Oregon Protect your investment. 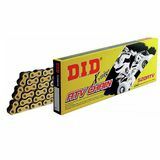 Buy a good chain "I only buy D.I.D chains they are the strongest and longest lasting on the market." The Utility ATV is the workhorse in the 4x4 family. But don't misunderstand, while it's mostly used around the farm and for hunting, 4-wheelers can open the throttle and eat up trails just like its sporting ATV cousin. Whatever the use, it's essential to follow the manufacturer's recommendation and perform routine maintenance to keep your utility ATV at peak performance. You can find all the necessary parts for general upkeep and upgrades on your utility quad at MotoSport. We carry big bore kits, the accessories for a complete brake job and if you want to upgrade your exhaust, you can get that too. Don't waste your 4x4's capability either. Install the right tires and wheels so these beasts work for you and if you need a plow and tire chains to remove snow, winches or extra seats and luggage compartments, as well as other body parts it's all right here. Find everything to completely outfit your 4-wheeler at your one-stop ATV shop. At MotoSport, we carefully choose a wide selection of 4x4 ATV parts that keep your machine performing for years and enables you to take advantage of all its possibilities. We also stock OEM parts and provide schematics for most Honda, Suzuki, Kawasaki, Polaris and Yamaha models. You'll find it's easy to get your ride back to work especially with our fast shipping and it's free for orders Over $79. If you're having trouble finding a part or just want help deciding on a specific upgrade give us a call on our toll free line 888-677-7338.